I had a doctor’s appointment last month and while waiting for the doctor the medical assistant asked me where I vacationed this summer. I answered that I spent my entire summer sitting in the doorway of the half bathroom waiting for my five year old to pee. In fact, I had gotten quite good at nursing my baby sitting cross legged in front of the toilet while I made sure said five year old didn’t escape. I’m pretty sure the medical assistant was happy that my chart was updated and probably sorry she asked. And just last night Jillian told me about how she had to a write a narrative in school about where she vacationed this summer and felt a little funny since we didn’t go anywhere, or really do anything. Even so, I felt a strong sense of honor that I was helping Mark take one step closer to independence, and it was a personal challenge. If I could potty train him, then I could do anything, and if I couldn’t, there was no soft place to land. After a few days of training I found myself on the couch in my therapists office with anxiety through the roof. I gave her a run down of the weekends potty failures and explained that they very much felt like mine. Each time he would have an accident it was my fault. I didn’t get there fast enough, I didn’t time it well enough, I hadn’t trusted my math. I was assigning and assuming blame. Everything is so difficult to teach him. It takes so much repetition, patience and more repetition, and I honestly didn’t feel up to the challenge. 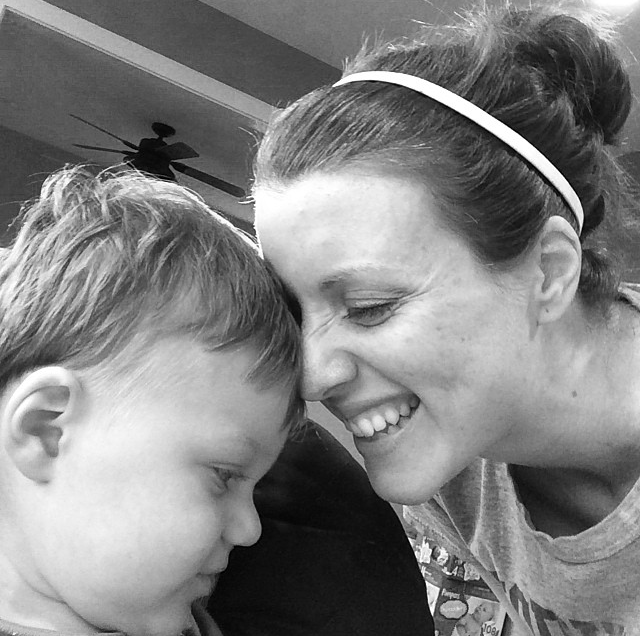 I called another autism mama who had been down this very road before and she told me that through this journey I would earn my stripes; and I needed to, for my confidence and sanity. As the weeks went on, he spent more and more time in underwear, and very slowly the carpet cleaner and disinfectant wipes made their way back into the cabinet. And by the time school was about to start we had successfully reached the goal of trip training. Mark would pee when we took him with no verbal or water prompting and he stayed dry between trips. And his reward? Music! It took us weeks of giving cookies, his sisters off-limits Legos, new books and toys, before we figured out that this precious boy of ours just wanted music. We would play “Hey Ho” by the Lumineers each time that he was successful and it was like Christmas for him. Eventually I began to ponder and calculate how we could teach him to initiate and communicate his desire to go. We added a PECS card to the door jam of the bathroom with a picture of a toilet and on a few occasions Mark took his therapists hand, grabbed the card, said “go to potty”, and went to the bathroom. We had arrived! The confidence that I lost over years of fighting and failing to teach him the most basic things was coming back and I felt so proud. And then a few days before school started Mark fell and broke his arm. As I was reading the orthopedists notes in the patient portal regarding his office visit, I read the line “due to the patient’s autistic severity I recommend a cast”. Mark’s break wouldn’t typically call for a cast but because he wouldn’t comply with a sling, a cast was the only option, apparently. Autistic severity. 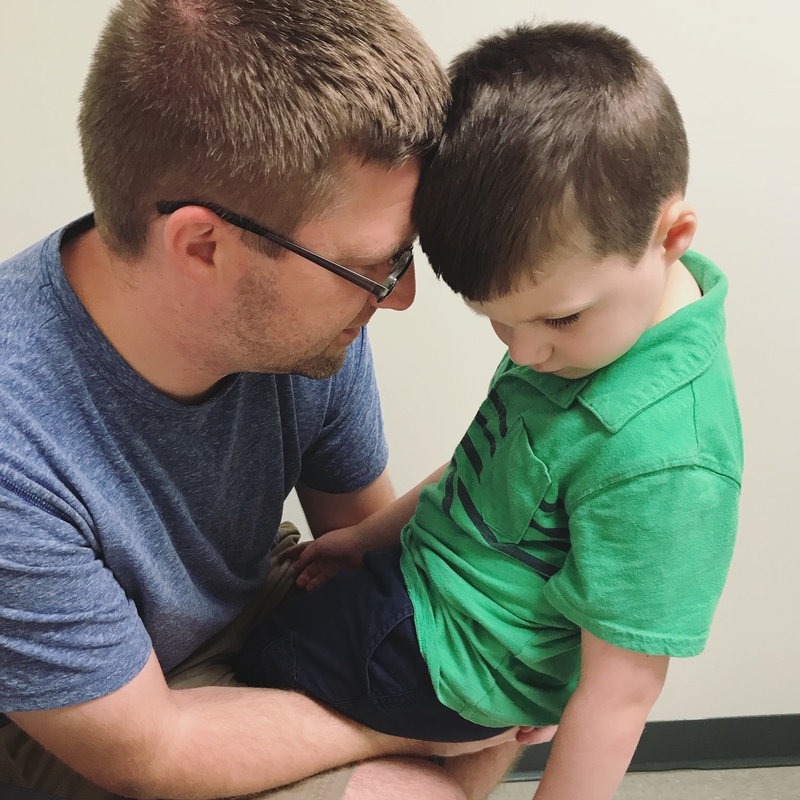 All of my confidence was lost and I felt so foolish for thinking that just because Mark began to recognize letters and numbers, that we were somehow escaping the confines of the diagnosis that I hated. 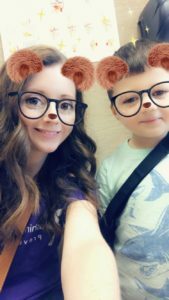 I felt silly for celebrating his milestones and upset that in a matter of a five minute visit the doctor concluded that his autism was so severe that we couldn’t discuss less constrictive options. My confidence was shaken and I felt that familiar heartbreak all over again. And Mark’s confidence must have been rattled too. 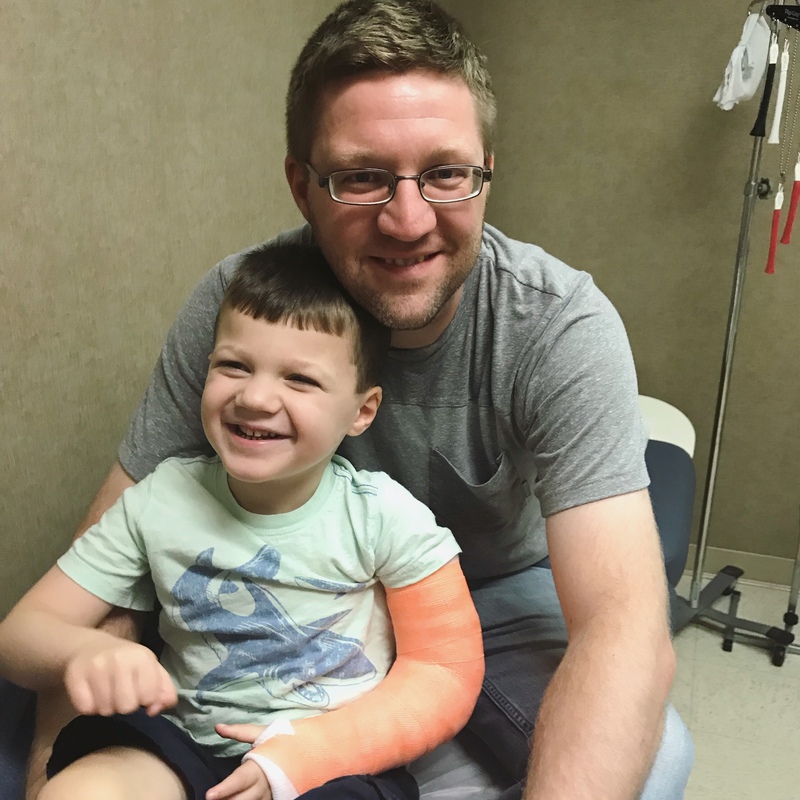 You wouldn’t think that a broken arm would unravel potty training but it, or the start of school, has. We are now back to going through multiple pairs of underwear, cleaning the floors, and my deep sense of failure has returned. I live and die by Mark’s successes and pitfalls, and this is killing me. And just as I began to throw myself a pity party, Mark’s stimming behavior has ramped up, and a new tick has been added. He now abruptly yells and accompanies the shout with a head jerk. I see him shaking his head a lot, and the vocal stims are in full force. Or maybe I’m noticing it all more because the words “autistic” and “severe” are reverberating in my head. 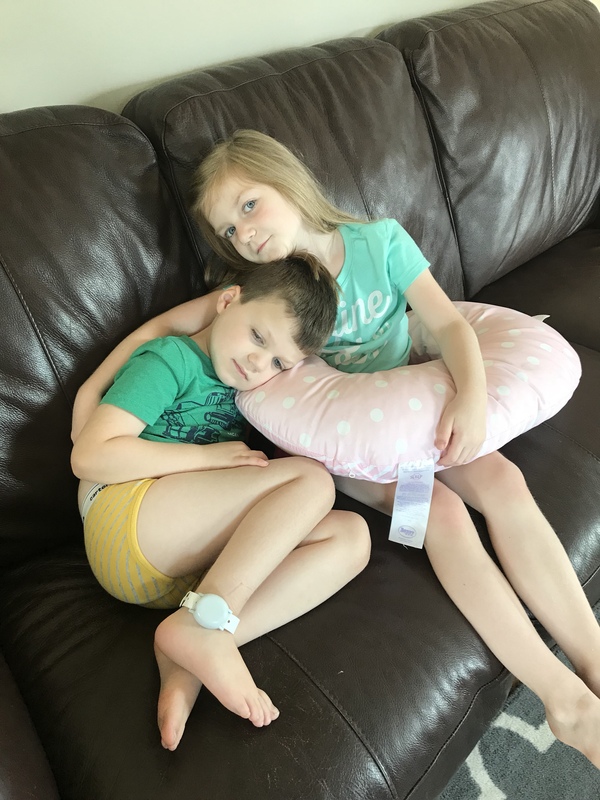 His SCN2A diagnosis also looms in the background as I read the age of seizure onset for each new child that is introduced in our online community group. Every new behavior makes me question whether it’s seizure activity. I had a dream last night that Mark was having a seizure and we were racing to the ER. It was so real and this morning I felt a sense of somberness knowing that everything could change just that quickly. 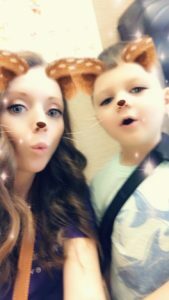 His regression of potty skills make that worry even more real and I begin to imagine how very different our life would be if seizure control became the new goal. On Friday night I found myself slumped over my phone at the dining room table watching videos on You Tube of different types of seizures. I was Googling. And I was worrying. A question that my therapist asked me sometime in the middle of the summer of potty was, “what do you need to have peace?” And I’m still puzzled and stumped by this question, because I am far from having peace as I generally feel pretty tortured. 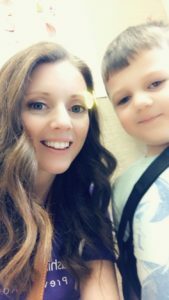 I had hoped to return to blogging at the start of fall with a happy report that we had done it; we had accomplished the seemingly insurmountable goal of toilet training and we were ready to wave from the other side, but instead we are in the messy, painful middle. And maybe it’s helpful for others to see what the middle looks like as we are often too quick to share where we started and where we landed. So I’m waving hello, sending a post card from potty boot camp, and hoping to arrive home eventually. I wish I had more advice for you. I still tend to live and die by Andrew’s hurts and successes, although I know it isn’t healthy. You are going to drive yourself crazy! I do know if a child gets sick (a cold etc) it tends to throw off track their potty training. I am sure a broken arm can do the same thing. The messy middle is only for a season that feels like forever. I find that when I can’t control those anxious thoughts which are from my messy middle is that I pick a verse and I mantra it over and over and over again till my mind focus’ on the One who is in control of my messy middle. I hurt for you but your platform of helping others through a time when they are most venerable is amazing and far reaching. Your writing is most valuable and without that messy middle, we wouldn’t know how to pray for you, or others.